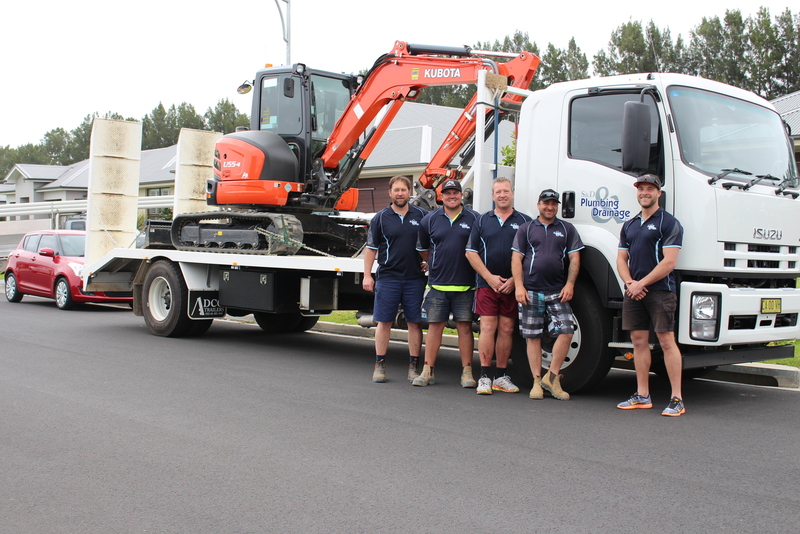 S & D Plumbing has been offering high quality plumbing and drainage services to builders across NSW since 2006. Since its inception S & D Plumbing has provided the plumbing solutions for over 3500 homes. We believe in offering a variety of services so as to allow the builder to deal with a single entity rather than having to source multiple contractors. We have two excavators which we can place at the builders disposal thereby eliminating the need to hire additional equipment for drainage and trenchwork and providing savings in both time and costs. Quality of work is a source of pride for us and this is the key to our growth and success. We also enjoy fostering and building upon client relationships to ensure that we provide our client with the best possible outcome in all instances. As a result we have become an integral part of a community of craftsmen, something which never fails to make us happy. This is what we offer to all clients, old and new; a personal approach, a cost effective plumbing solution and the highest quality of work.